Initially built in the 1800s, Santa’s 2,500-square foot home underwent a recent remodel to add some modern touches while retaining the classic style of the original structure. The cabin now features a gourmet kitchen with hot cocoa on tap, and all the essentials needed to bake big batches of cookies. A new floor-to-ceiling fireplace composed of river rocks is a central focus in the cozy, yet luxurious home. 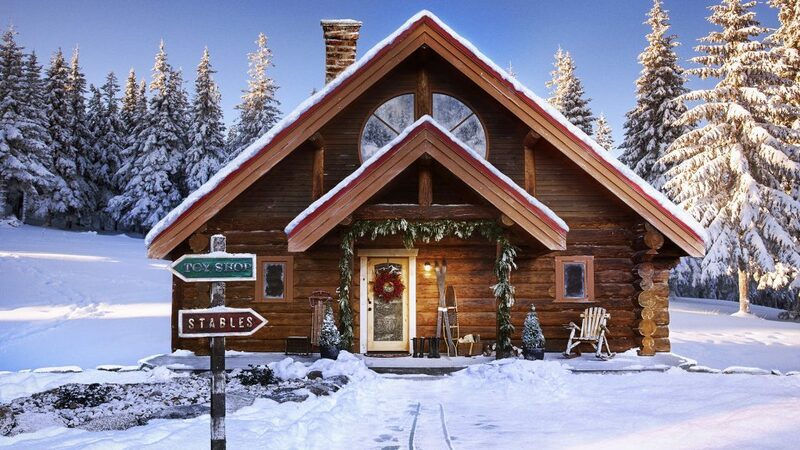 In addition to his spacious office, where Santa keeps his lists and designs new toys, Santa’s property offers plenty of space for his passions, including a toy workshop, a garage for his sleigh, and stables for the reindeer. Just outside, Santa’s elves have their own village of tiny homes. Each one has its own unique design style, letting the elves live in homes that are best suited to their own personalities. To ensure all children have a home for Santa to visit, Zillow Group introduced the Home Project in 2017, with the goal of supporting individuals and families who are just one paycheck, a medical event or unexpected expense away from homelessness. Find a list of local organizations in each state whose missions and work can help meet this goal at www.zillow.com/blog/nonprofits-homelessness.